Ever since my kids went on our Disney Cruise last year, they have begged repeatedly for me to make the kiddie cocktails - I swear that was one of the highlights of that trip. And who doesn't love sitting out in the warm sun with a fun cocktail? 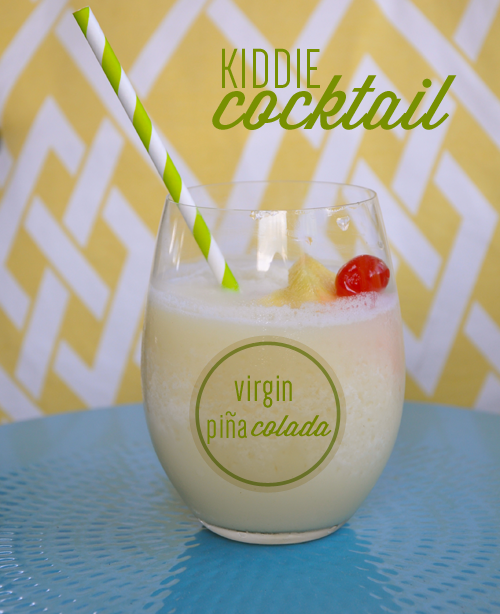 Since yesterday was the last day of school, we toasted the day with virgin pina coladas. The recipe is super easy… and I'll be honest, it would be really easy to throw a little rum in these babies to give you a little extra kick. 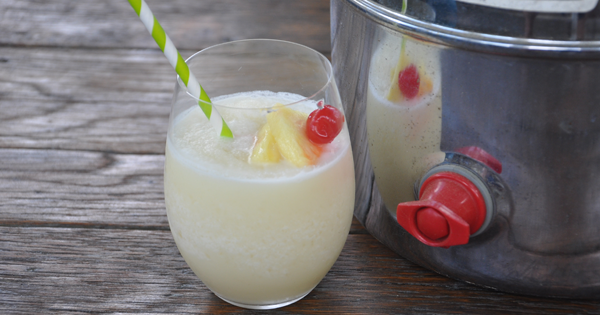 This recipe couldn't be easier - blend the pineapple juice and cream of coconut together in the blender, throw in some ice (how much will depend on how thick you want your drink). Then just pour into a glass, garnish with pineapple slices and a cherry. *If you use canned pineapple, don't throw away the juices - add that in too when blending. The flavor of that canned juice is more intense than the pineapple juice.